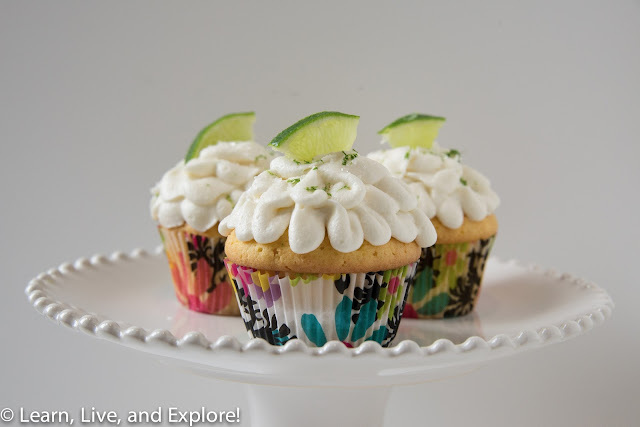 Margarita Cupcakes for Cinco de Mayo ~ Learn, Live, and Explore! 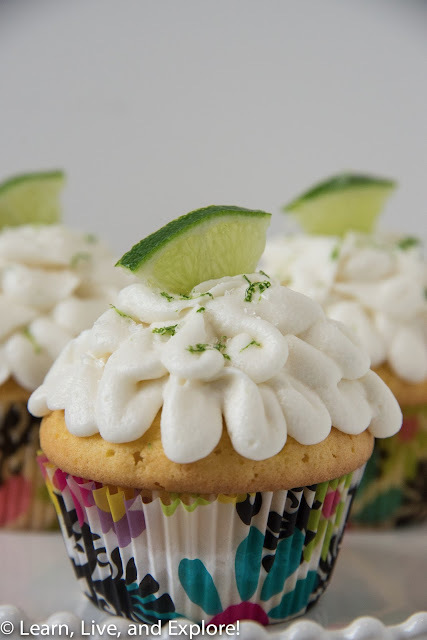 It's almost Cinco de Mayo, and I've got two things on my brain. First, with all my April travels, I haven't baked in awhile, so I've been itchin' for the kitchen. The second thing is margaritas because I love holidays that give me an excuse to make a batch. Preheat the oven to 350 degrees F. Combine all of the ingredients in a stand mixer until smooth. Fill cupcake liners 3/4 full. Bake for 18 minutes or until a toothpick comes out clean. Super simple, right? Cream together ingredients, adding milk to achieve your consistency preference. Pipe on cupcakes and garnish with more kosher salt, lime zest, sugar crystals, and lime slice. I think, based on my piping results, I need a little more practice with the ruffle tip!